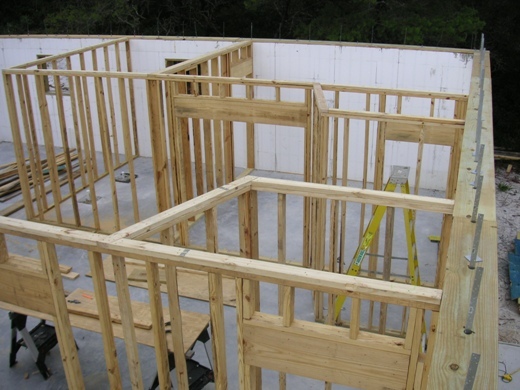 Building a small house is a great way to get an affordable home that provides a very usable space. The key to getting the best space for you is to do your planning to make sure the structure is right for your needs. One of the first things to consider when designing a small house is how are you going to be living in it. There are many demands on our living space. Some people love large gourmet kitchens and others want a big home theater room, the key with a small house is to be able to compromise and get the best design for your needs. The current options available for appliances and entertainment options allow a lot of flexibility when designing for maximum enjoyment. The layout of the house in terms of hallways and closets is another area where space savings can be found. See the following image that shows how this small house plan used uniquely shaped closets to maximize space and create a room at the same time. Above Photo: Trapezoidal-shaped closets in the two bedrooms create a unique foyer on the other side of the closets. This defines the foyer area in a unique way without devoting a lot of space, yet it also provides a very usable walk-in closet for each bedroom. Pocket doors save a lot of space because they don't require a swing space that becomes unusable. 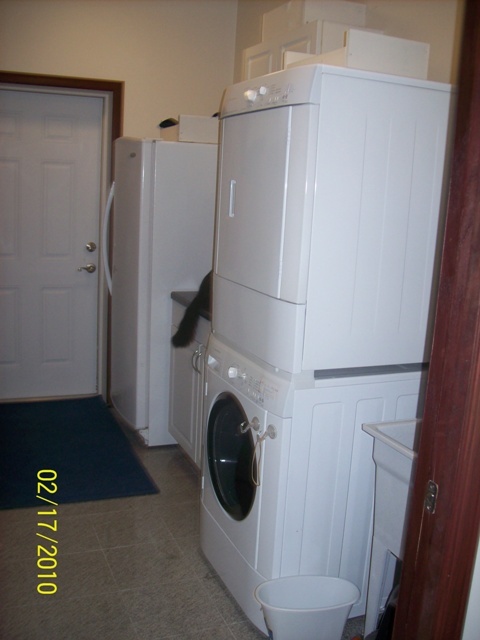 See the image below for an example of how this small house used a pocket door in the laundry area. Above Photo: This laundry room was tight, and couldn't afford losing any space to the swing of a typical swing door. So, we used a pocket door (it is fully open in this photo--you can see the locking hardware on the far right of the photo). The homeowner is now able to fully maximize the space in this laundry room. Hallways should also be minimized in an effort to create larger rooms that are more open. Creative storage solutions are another great way to maximize space and minimize clutter. Closet organizers as well as kitchen and laundry room options are a great way to eliminate clutter and increase storage space. 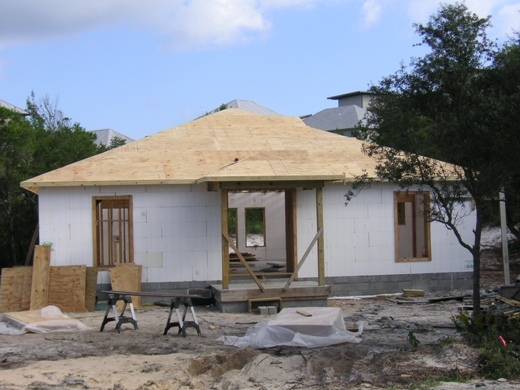 Learn more about building a small house by checking out this small house under construction. It's a small house (approximately 1300 square feet) that is large on comfort.